The good news, however, is that with the right advanced planning, ensuring that you properly decommission your office space is a straightforward activity. While your plan will need to take into account specific variables and factors that are unique to your situation, below is a general overview that will guide you in the right direction when it matters most: before your move – not after. 1. Carefully go through your commercial lease. 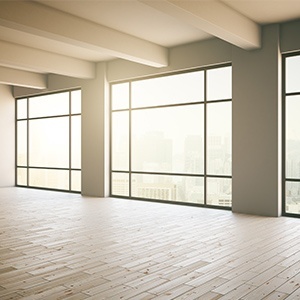 The old saying goes that “the devil is in the details,” and this is a warning you should heed when it comes to decommissioning your office space. Carefully go through your commercial lease and make sure you clearly understand your obligations. For example, some commercial leases demand that tenants broom clean the area, while others may require cabling or wiring to be returned to its condition prior to move-in. Assume nothing and error on the side of caution! 2. Conduct an audit and decide what to do with your unwanted or unneeded assets. It is unlikely that all of your assets (e.g. furniture, equipment, FFE, etc.) will be heading to your new space along with your employees. This is because some items may need major repairs (and may be cheaper/easier to replace), or may no longer be necessary. For example, your new office space may have an open office layout, which makes your current cubicles redundant. Well ahead of moving day, get together with your team and conduct an audit to identify assets that you don’t want/don’t need to take with you to the new space. From there, establish whether each item will be donated, recycled, sold or disposed. For more guidance on this, download our free flowchart here. 3. Choose an office moving company that offers transitional management solutions. Many businesses are unpleasantly surprised to learn that their office moving company doesn’t have the expertise or capacity to provide transition management solutions, including (but not limited to) end-to-end office space decommission support. Unfortunately, by the time this comes to light, it is too late: the move has already begun or has finished, and businesses are getting angry calls and letters from their former landlord or property manager (or their attorneys on their behalf!). To learn more, contact the Precision team today. Unlike many office moving companies, we offer full transitional management solutions, along with professional furniture uninstallation -- which is often a major and complex aspect of office space decommission that, if not handled properly, can lead to major schedule delays and cost overruns. Your consultation with us is free.